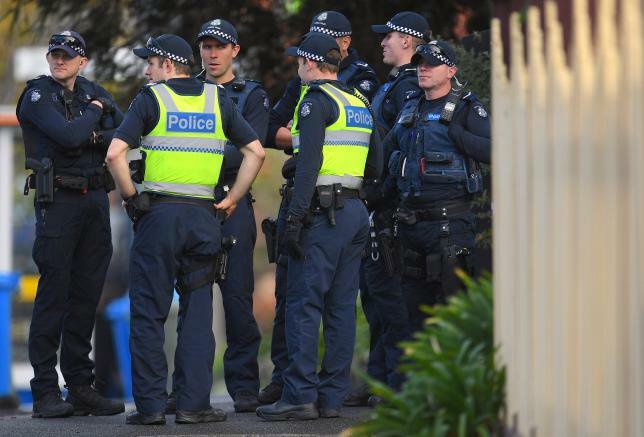 Police in Australia's most populous state will be allowed to shoot suspects in "terrorist related" incidents even if the attacker does not pose an imminent threat, under a proposed law, New South Wales Premier Gladys Berejiklian said on Thursday. Australian police stand at the site of a siege at the Buckingham Serviced Apartments in Melbourne, Australia, June 6, 2017. The change comes after a series of "lone wolf" Islamist-inspired attacks, the most serious of which raised questions about the traditional police strategy of "contain and negotiate" in hostage situations. The cafe siege, which began on Dec. 15, 2014, was Australia's most deadly violence inspired by Islamic State militants.